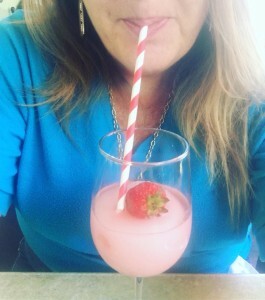 My name is Marsha Strickhouser, aka Plate Girl, and I’m an obsessed tablescaper, china collector and blogger with an appreciation of table settings, antiques, entertainment, restaurants, hotels and entertainment in Tampa Bay, FL. You will find lots of table settings here, lots of restaurant food, and some pretty holiday decor at my blog www.plategirl.com. My first featured blogger is Chelsea Williams from the blog, That’s Chelsea. First of all, I love her name. (My oldest daughter’s name!) She lives part time in Tampa and the rest in Washington, DC. I had the chance to meet Chelsea at a recent TBB get-together and I was so impressed! Her blog is fabulous, as are her photos! Recently Chelsea had the opportunity to work with .EWG Certified DC Pop-up. EWG has been around for 25 years helping make cosmetics healthy. Very informative post but she has lots of fun with it with great photos. 40 percent of women usually buy products free of parabens, phthalates, and sulfates. It has been 80 years since Congress last passed legislation regulating the cosmetics industry. You should definitely follow her! I also want to give a shout out to Rachel Gault from Small Town & City Lights, a travel blogger. Rachel has some good tips on how to get deals on traveling How to Earn Miles Without Flying – and don’t we all love that! It’s an easy read with some good tips. I love her photos and her blog is bright and happy – I assume just like her! I haven’t seen her on TBB page so … Hello!! And glad to have you here! Another blogger is Victoria J. Yore and her beau Terrance from the blog Follow Me Away. I have heard of her blog before but I didn’t realize she was in Tampa Bay Bloggers (duhh!) and that she was Linda Yore’s daughter! I had the opportunity to meet her and hear her lecture at FLBlogCon (Thank you Ashley for the contest!) and was wowed by her photos, stories and advice. This week her post is on 10 Best Hot Springs in Iceland that Will Blow Your Mind. You Must check out her photos That She Is In!! That’s Her!! The photos will amaze you. You will want to use them as laptop wallpaper, And hang them on your walls. And make mugs out of them. Once again, I am so impressed with our bloggers we have right here in Tampa Bay! Now we want to hear from you! Welcome to #FridaySharefest 10/12/18!